The Fields Center works in conjunction with a range of student organizations, alumni affinity groups and administrative units on campus to organize multicultural graduation ceremonies that celebrate the accomplishments of students who have engaged in many areas of diversity at Princeton University. The Asian Pacific Islander Desi American (APIDA) Graduation, inaugurated in 2018, highlights the academic and personal accomplishments that have shaped the journey of the graduating class at Princeton University. This celebration provides an opportunity for the graduates to come together and engage with the APIDA community and be inspired to become the next leaders. 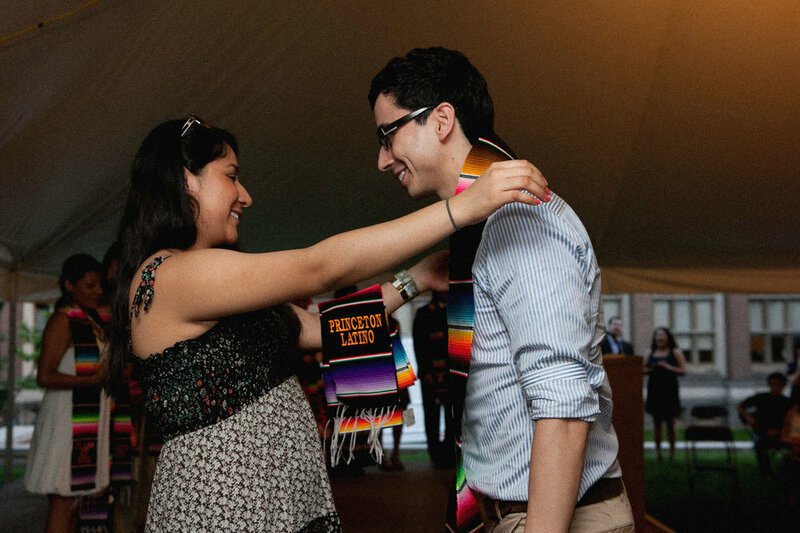 The Latinx Graduation was first initiated by students, more than 20 years ago, who desired the opportunity to celebrate their accomplishments and recognize the important role that Latinx students have played in shaping the landscape of Princeton. The program provides an intimate setting for family, friends, alumni, faculty, staff and students to recognize the accomplishments of the graduates while embracing their new important roles as Princeton alumni. Graduates who register for the Latinx Ceremony by the deadline will be entered into a raffle for a Princeton University diploma frame, sponsored by the Association of Latino Princeton Alumni (ALPA). The Pan-African Graduation, inaugurated in 2005, serves as an intimate gathering for family, friends and members of the African diaspora to celebrate the culture and accomplishments of the graduating class. Generally, the event is followed by a reception.